The list goes on, but the general idea has come to be known as Murphy’s Law, and is usually expressed this way: Anything that can go wrong, will go wrong. So — who was Murphy, and why is he associated with unhappy outcomes? The Law’s namesake was Captain Edward A. Murphy, Jr., who was an aerospace engineer. Following World War II he devised sensors that were supposed to accurately measure gravitational force. Tests were underway at what is now called Edwards Air Force Base (California) to determine how many Gs the human body could withstand. 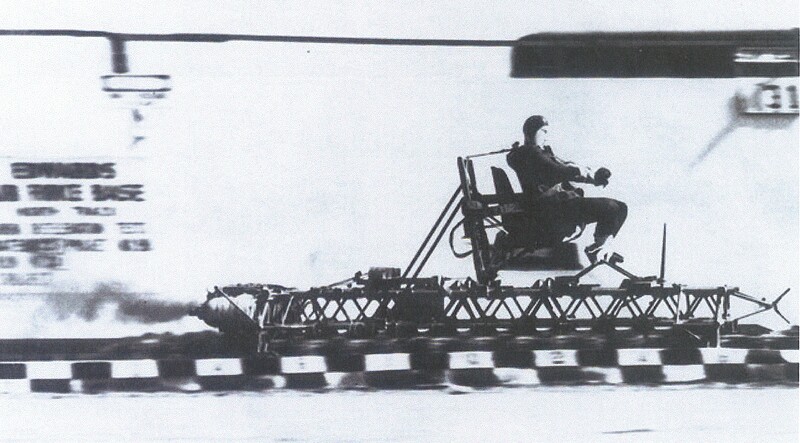 An Air Force doctor, Colonel John Paul Stapp, had courageously volunteered to ride the test sled. In effect, Stapp was a living crash test dummy on a device that was built to decelerate from 200 miles per hour to 0 mph in less than one second. Every time Stapp rode the test sled he sustained some sort of injury — concussions, broken wrists, ruptured blood vessels in his eyes — all in the interest of improving safety for pilots. One day in 1949, Col. Stapp was fitted with the sensors Murphy had invented; this test promised to be a big step forward in G-force science. At a press conference a day or so later, Col. Stapp made mention of Murphy’s Law, amending it to “whatever can go wrong, will go wrong.” After that, Murphy’s Law frequently turned up in aerospace publications, usually as an exhortation to identify and eliminate potential flaws. It made its way into popular culture, getting a boost from a 1977 book by Arthur Bloch called Murphy’s Law, and Other Reasons Why Things Go Wrong. Here’s another one that occurred to me recently: “If you make a fine product but insist on improving it, expect massive recalls.” I call that the Toyota Corollary. Since the first Winter Olympics, speedskating equipment and techniques have changed dramatically. It’s strange, the species of cicada that only appears above ground every seventeen years. Equally strange is human knowledge of winter sports, which is dormant in most brains for four-year stretches and then, almost miraculously, emerges when the Olympic theme music is played. Very few of us have given a conscious thought to halfpipe snowboarding or aerial skiing or ice dancing since the games of 2006, which were held in… oh, heck, where was it? Somewhere in Italy, I think. But here we go again, as the 2010 Games get underway in Vancouver: Suddenly our expert opinions have resurfaced. We can watch a curling match and detect a slight flaw in the sweeping technique of that team from the Netherlands. We instantly recall that the Nordic Combined event consists of ski jumping and a cross-country race, and that times are adjusted to compensate for the competitors’ staggered starts. We can tell when a figure skater was just slightly under-rotated on the landing. And when it comes to figure skating, why do those TV announcers feel they need to explain to us the difference between a double salchow and a triple lutz? C’mon, we’ve had that tucked away in our memory banks since Dorothy Hamill (who, of course, invented the “Hamill Camel”)! We do have a new sport to learn this year; skicross is an Olympic event for the first time. It will probably only take you a few minutes to form strong opinions about it, but just to whet your appetite, it involves skiers in packs of four on a course that has moguls and jumps; collisions are almost inevitable. What I’m saying is, don’t bother mentally computing style points. Since you’re an expert on most Olympic sports, you don’t need me to tell you that Germany, Canada, and possibly the U.S. will be the top medal winners. Among those not making frequent trips to the victory stand will be Peru and Ghana, but the biggest loser will be NBC, which overbid on the broadcast rights and stands to be in a $200 million hole by the end of the Vancouver Games. Of course, every athlete who is interviewed on television insists that winning isn’t that important — they say stuff about it being an honor just to participate in something as wonderful as the Olympics. They don’t really mean that; they’re just trying to help NBC feel better about its crushing loss. All right then, fellow experts, enjoy the Games. Oh, and don’t forget: only two years until Synchronized Swimming in London! Since it probably wasn’t convenient to return a 2,000-pound bell as defective merchandise, it was turned over to a couple of local metal workers for repairs. John Dock Pass and John Stow melted it down and started over, but thought the bell might need more copper, so they added some. 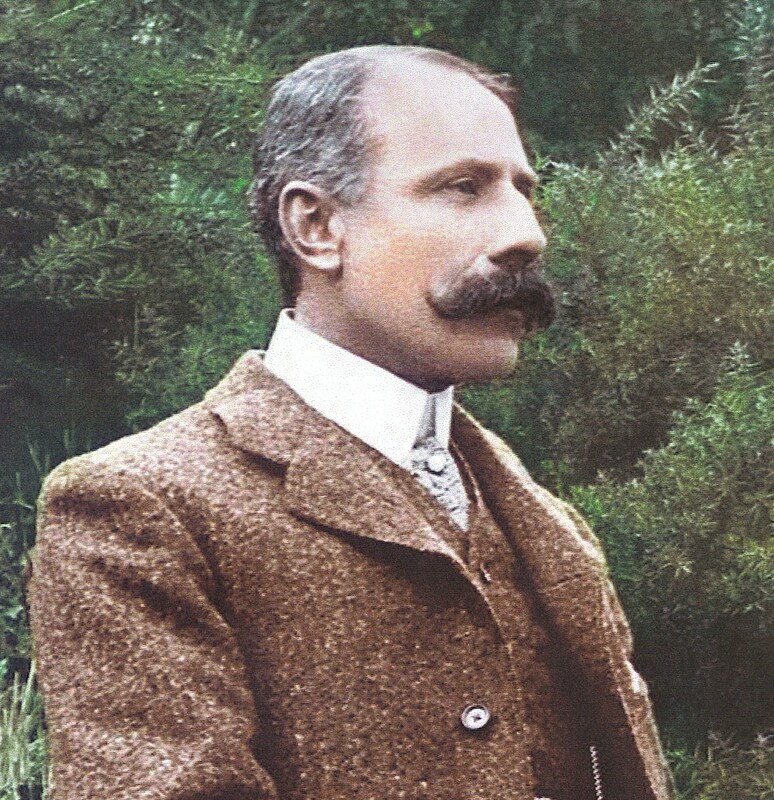 That second version produced what was described as “an unsatisfactory tone”. We can only imagine what that may have been, tone-wise, but everyone knows that a bell should say “bonngg” and not “bonk”; “clang”, not “clank”. Pass and Stow tried again, correcting the balance of metals in the bell — and including their names as part of the inscription on its crown. In 1753 the bell went into service in the steeple of the State House (now known as Independence Hall). It was rung on a great number of occasions after that, but probably not, as one tradition suggests, when the Declaration of Independence was first presented. During the Revolutionary War, the Liberty Bell was removed from the steeple and hidden in Allentown, Pennsylvania, to keep the British from melting it down and converting it into cannons. 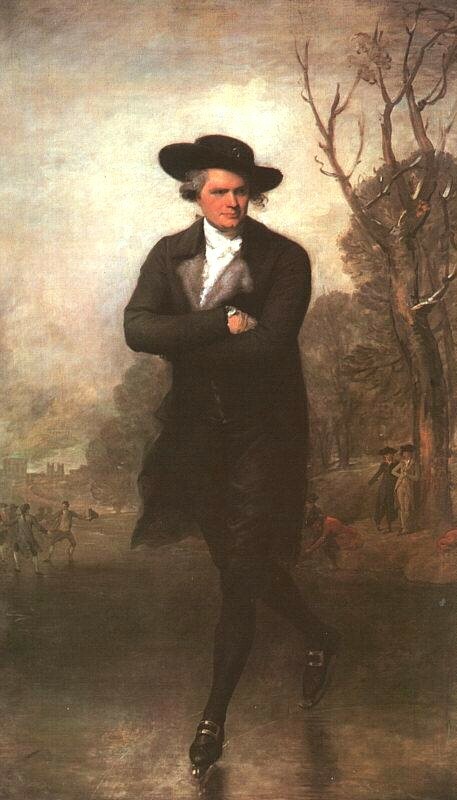 After the war it was returned to service in Philadelphia; it tolled for the passing of Alexander Hamilton in 1804, for John Adams and Thomas Jefferson (who both died on July 4, 1826), and upon the deaths of other famous Americans. Supreme Court Chief Justice John Marshall died in 1835, and tradition says that’s when the bell cracked again. An attempt to repair the Liberty Bell was made again in 1846. The familiar feature of the bell — the visible “crack” with rivets at each end — was not the actual hairline crack, but the method of repair. That half-inch slot was intentionally drilled into the bell as a way to control its vibration, and therefore its tone. The repair worked briefly, but new cracks developed while the Liberty Bell was being rung on February 22, 1846, in honor of George Washington’s birthday. These cracks were deemed irreparable, so the bell was retired from active duty. It was taken down from the steeple in 1852 and has been on display in various places ever since. It currently receives over a million visitors annually at its home on Market Street in Philadelphia. 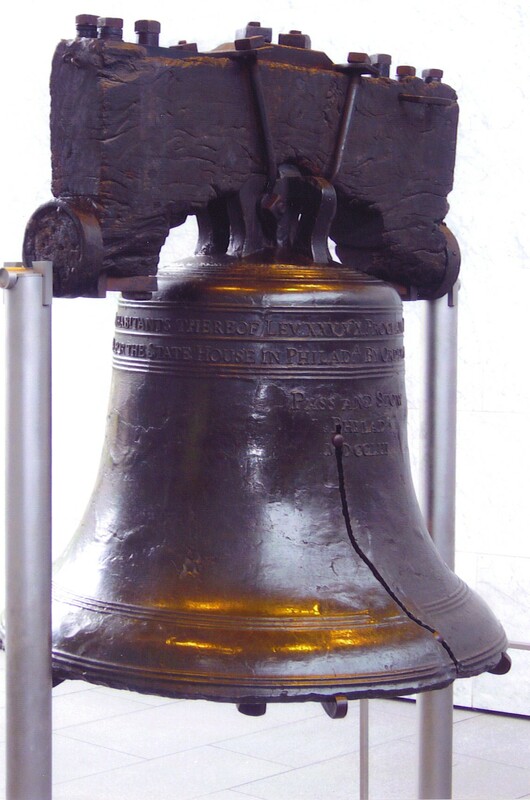 You might say the Liberty Bell has proven to be far more durable as a symbol than it was as a musical instrument.